This machine came out of a High School Wood Shop. 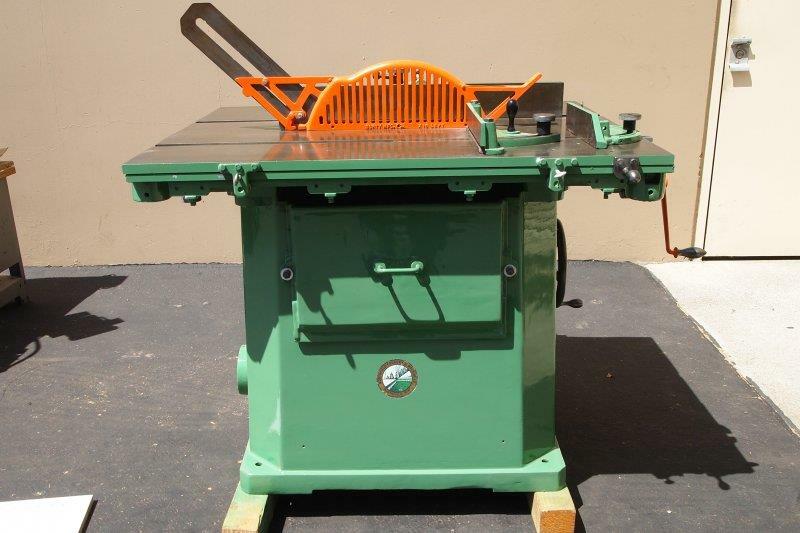 When we got this machine we did a complete rebuild and restoration. A great machine for less than half price of new. •	Saw Capacity: 14" x 16" x 18"
•	Vertical Saw Adjustment: 4"
•	Stationary Table Size: 22-1/2" x 45-1/2"
•	Complete Table Size: 40" x 45-1/2"